Congratulations to Chris Whitfield on becoming a WatchGuard Certified System Professional - Ocala, Gainesville, Orlando | Verteks Consulting, Inc. 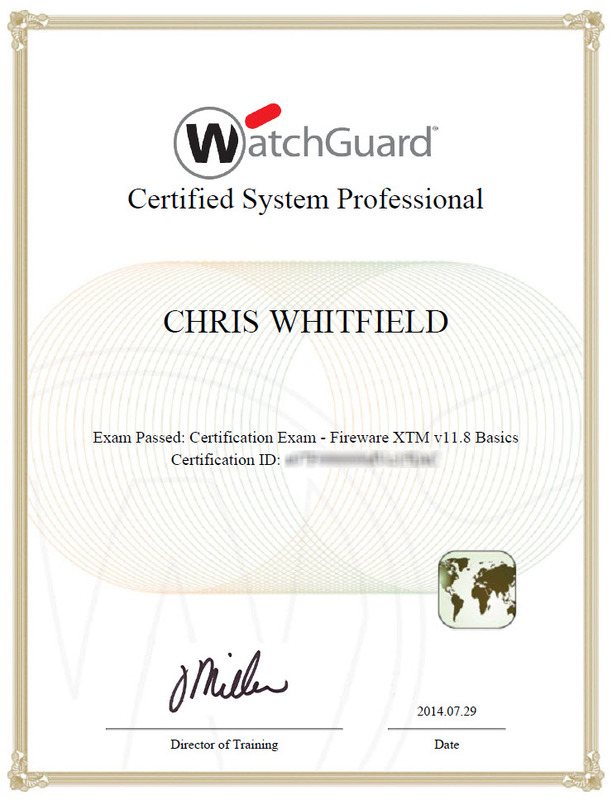 Individuals that take this test also confirm their knowledge of the fundamentals of network security, WatchGuard System Manager management software, and Fireware XTM configuration tools. Congratulations to Chris for learning this material, taking the test and earning his certification!